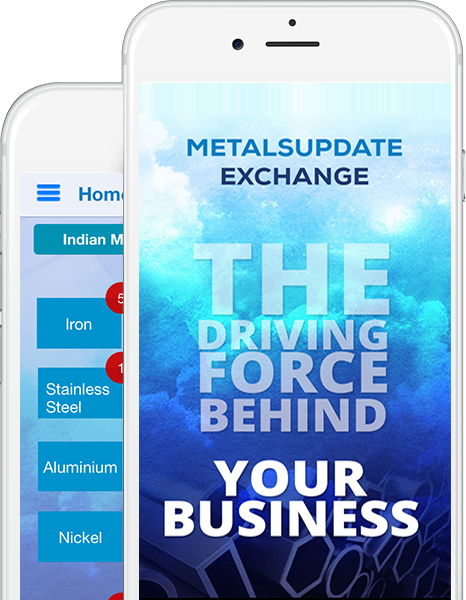 Metalsupdate Exchange Mobile App - Buying & Selling of Ferrous and Non Ferrous Metals Simplified. Create inquiries and post your requirements for free through this intelligently built robust trading tool. 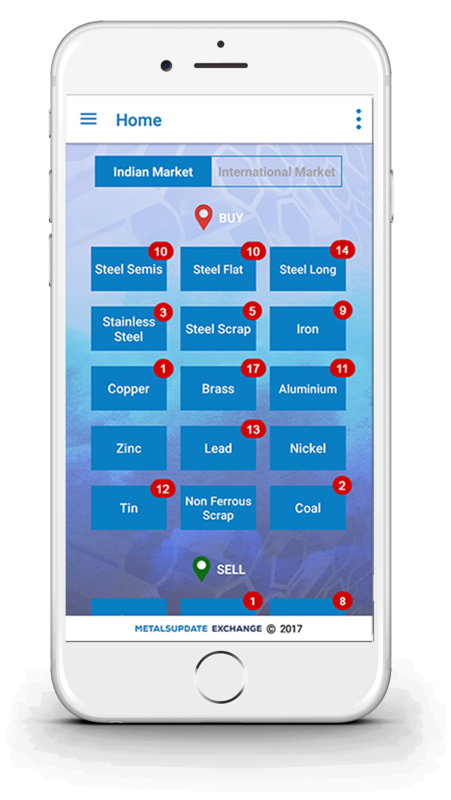 This app has been intelligently designed for the Metals world. All those who need to buy or sell metal raw materials can use it including producers, processors, suppliers, distributors and traders of ferrous and non ferrous articles. 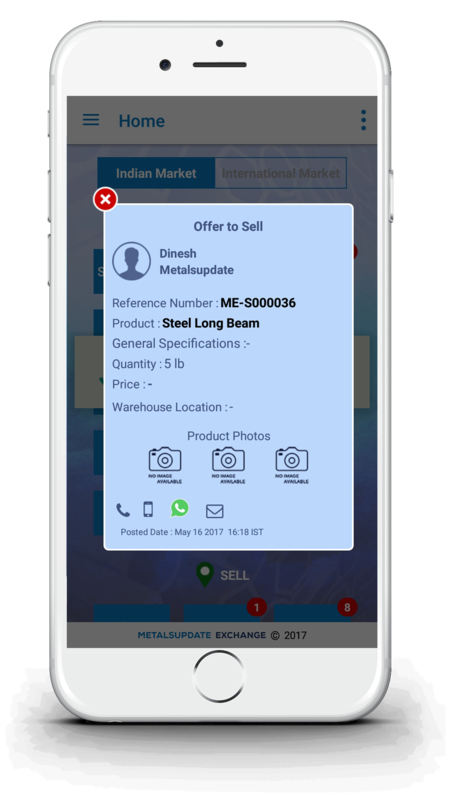 It allows you to buy or sell ferrous and non ferrous metals in a few easy steps and also helps locate the nearest buyer or seller of your product. 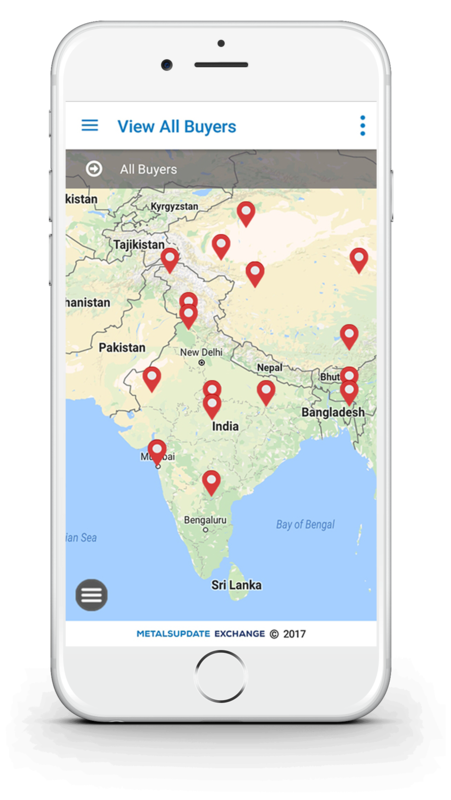 The location map allows you to zoom in or zoom out to broaden your search coverage area. 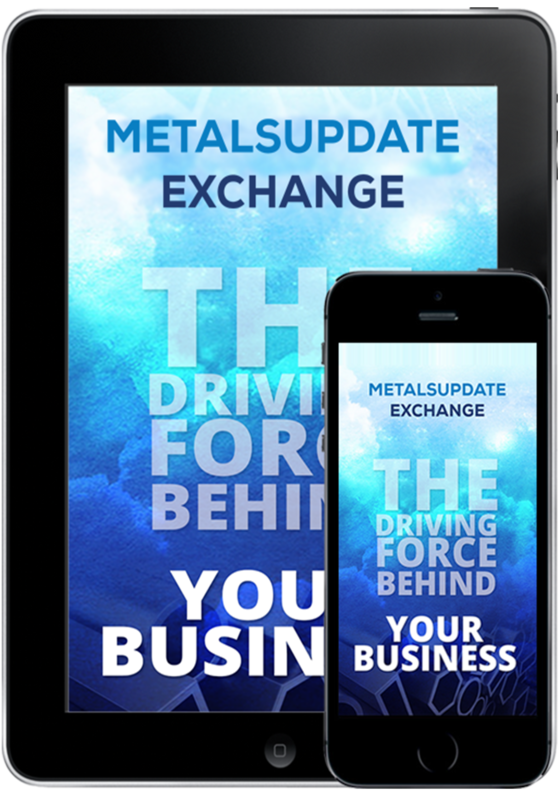 Users can buy or sell metals, find the most competitive deal around their required location. The transaction takes place off-line between the buyer and seller. This app. is only a platform to facilitate buying and selling and is not involved in the final transaction. 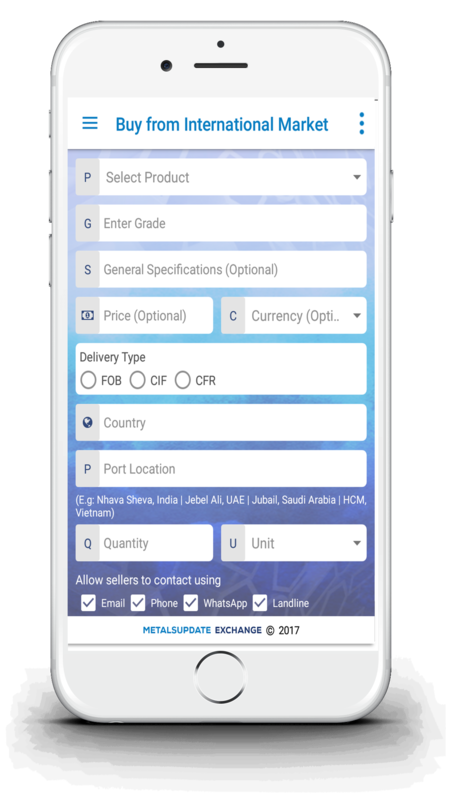 You can also post photos/ description of your products along with the exact specifications and the ideal price you wish to buy or sell at. The price field is optional and not compulsory. Easy access to ‘Buy’ and ‘Sell’ forms through the Home screen. Allows you to enter your Mobile and Company Landline Number. Allows you to enter the Product Price inclusive and exclusive of Excise Duty for Indian Market. Geographical location mapping of all available Sellers and Buyers. Allows you to indicate the Price Type (FOB, CIF etc.) for International Markets. Allows you to fill Delivery/ Warehouse/Port location. Sellers and Buyers price field is not compulsory. We would like to hear from you on how our services can be improved continuously. 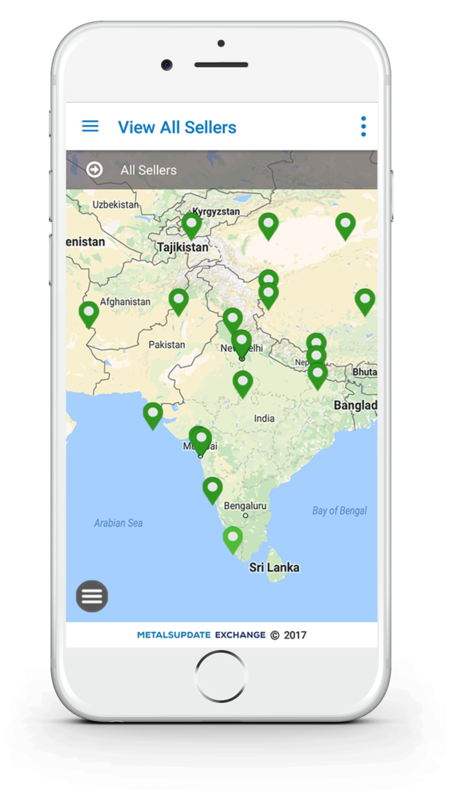 We also welcome comments and suggestions on additional sections/segments which have been introduced in the mobile app. We strive towards the goal of complete customer satisfaction.